The year of our Lord 2014 has been a great year of reading for me. I can only think of a couple of duds in the pile of books I’ve had the fortune of getting my hands on and cruising through. This means one thing: picking this year’s Top Reformedish books of 2014 was a difficult task. There were a great number that I thought of and considered for this. As it happened, though, there were a few standouts I would like to highlight and commend to you for your reading pleasure and edification. A couple of notes before I proceed, though. First, I am not including Herman Bavinck’s Reformed Dogmatics here simply because I have an article coming out on it later this month, and because it sits in a category all by itself. It is not a book of 2014. It is a work that transcends the years and decades. Second, it just so happens that all of the books I’m highlighting I have actually already reviewed. Where relevant, I will simply note, excerpt, and forgo any more summary. Finally, this list is not in any particular order. I am a notoriously bad ranker and decision-maker. Just ask my wife. 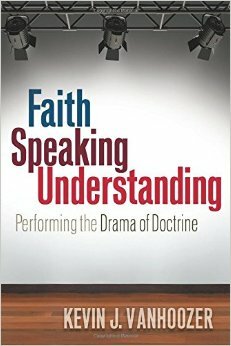 Let me put it this way: if Drama of Doctrine and Remythologizing Theology had a child, it would be Faith Speaking Understanding. Though intended as a briefer, less intimidating introduction to and practical application of his theodramatic theology for pastors and serious students, it isn’t a mere rehash of the last two works. As Vanhoozer explains, Faith Speaking Understanding is “an upstart sibling with a swagger of its own, namely a full-fledged proposal for the role of theology in the church’s task of making disciples” (xv). Swagger it may have, but it’s swagger mediated through Vanhoozer’s inimitable style, irenic tone, and jovial spirit. Vanhoozer’s prose is a joy to read—a seamless movement between biblical and theological reflection (as evidenced by the extensive and helpful indexes of Scripture and theology) that is robustly catholic and winsomely evangelical. In the history of the church, particularly its Western Protestant wing, few theological lights shine brighter than John Calvin’s. The Reformer par excellence, he stands out for his theological acumen, systematic comprehensiveness, and care as a biblical exegete. Beyond Calvin the theologian and biblical scholar, though, there was Calvin the pastor—the man passionately concerned that all of human life be lived before God (coram Deo) and in light of the gospel. Though it’s often presented this way in history textbooks, the Reformation wasn’t simply an academic theological debate about justification and the thoughts we think on a Sunday morning, but rather a total restructuring of Christian life and practice. It was about, as James K.A. Smith puts it, the “sanctification of ordinary life.” For that reason Calvin was concerned not only with teaching doctrine, but also with the life of piety flowing from that doctrine. 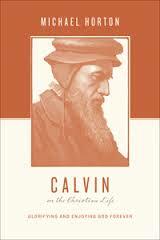 This is the Calvin that theologian and Westminster Seminary (California) professor Michael Horton introduces us to in his new volume on Calvin and the Christian Life. With an engaging blend of biography, theology, and commentary, and with copious reference to Calvin’s Institutes, commentaries, tracts, and key secondary literature, Horton takes us on a whirlwind tour through the Reformer’s thought as a whole. 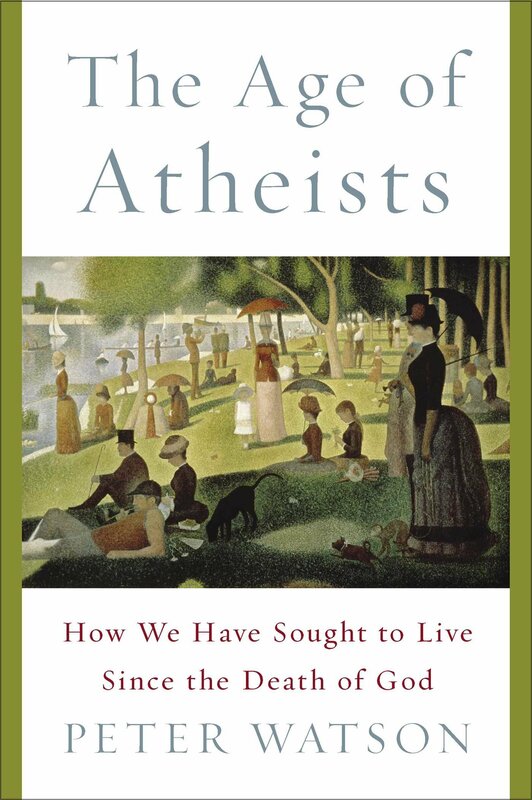 Beginning with Nietzsche himself, Watson focuses on the lives, stories, and theories of those who haven’t merely lamented the loss of God but pushed through to find meaning—or rather “meanings”—of a more humble sort on the other side. Jumping from Europe to America to the Isles, Watson presents us with a cascading torrent of names (the back cover alone is plastered with them)—whether poet, philosopher, novelist, dancer, psychiatrist, or theologian—all of whom offered visions of life beyond traditional religious belief. The overall effect is to overwhelm you with the wealth of non-theistic options to meaning and fulfillment. To put it bluntly, Watson wants to show us we have more options than glum Dawkinsism or Jesus. 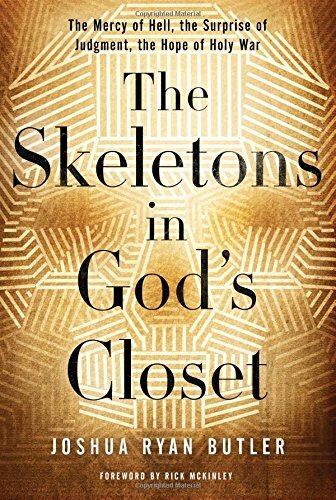 The Skeletons in God’s Closet has the potential to be a game-changer for a lot of struggling Christians and skeptics. Thoroughly orthodox, Butler also speaks in a language and with the sensibility of someone who can still step out of his Christian shoes to hear, think, and feel the tension from the outside. In a lot of ways, it’s the book Love Wins tried to be but failed due to doctrinal drift. Instead, by helping readers walk through the difficult texts in Scripture, Butler sets out for them a broader vision for the beautiful character of a God who doesn’t give a doctrinal inch. Is it perfect? No. Would I have hit a couple of themes harder, or connected a couple of dots differently? Probably. Still, Butler has done the church a magnificent service by showing a postmodern world that doctrines like hell and holy war aren’t about a God whose malevolence has to be restrained. Instead, The Skeletons in God’s Closet shows us a God who is good down to his bones, and utterly committed to loving and saving his world in Christ. In one sense, I found it to be a gravely disappointing book. It’s disappointing because Treat has written the book I wanted to write on the subject. 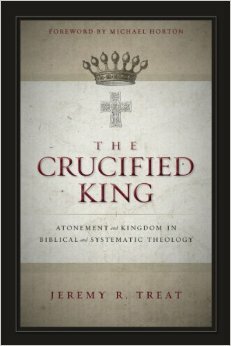 Giving equal attention to biblical theology and systematic categories, Treat reunites what never should have been divorced in much modern theology: kingdom and cross as well as Christus Victor and penal substitution accounts of the atonement. 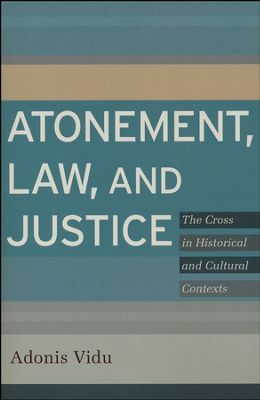 Vidu aims to provide an account of the history of atonement theology down into the present that presents theologians against the background of the various legal and political theories dominant at the time. In this way, we can begin to appreciate better the way these theological concepts shaped and were shaped by their native settings. Five judicious, careful, and lucid chapters are devoted to the descriptive task, focusing on Patristic, Medieval, Reformation, modern, and contemporary periods…What’s more, along the way, he corrects a number of common misunderstandings and caricatures of historic positions. If I went on to cite runners-up and honorable mentions, we’d be here for a while. It’s been a good year for books. I hope this list finds you in time for you to update your Amazon.com wishlist for last-minute purchases. If not, it ought to give you an idea of how to use your spare gift cash. Thanks for the reviews. I read Watson’s book and have to agree with you, he does demonstrate we have more options. Always good to hear about great books! Thanks for the intros.